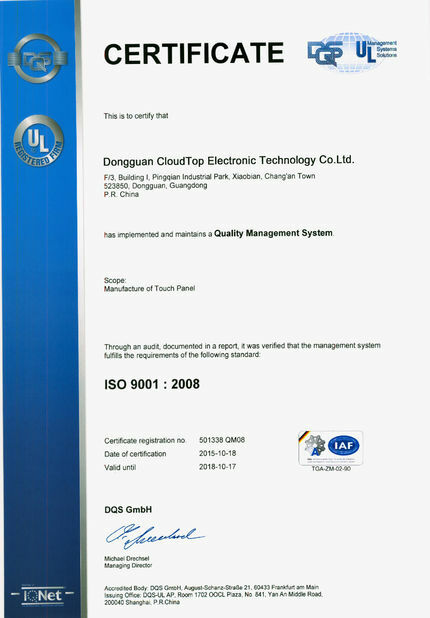 Quality Control - Dongguan Shining Electronic Technology Co., Ltd.
No mantter what ambition we have, clients' satisfaction is the first priority. 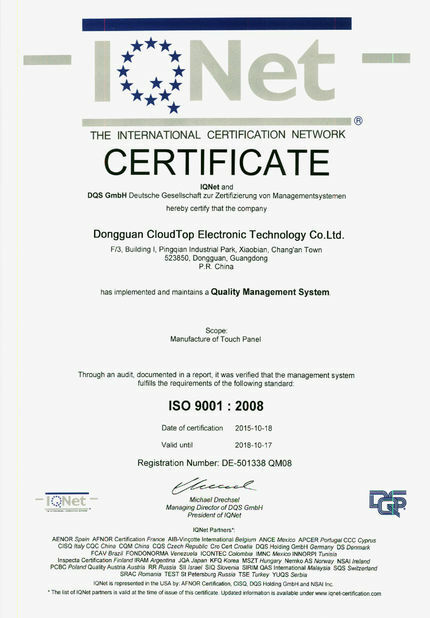 Our quality control consists of 4 groups in the charge of QC superviser, 10 people in all. 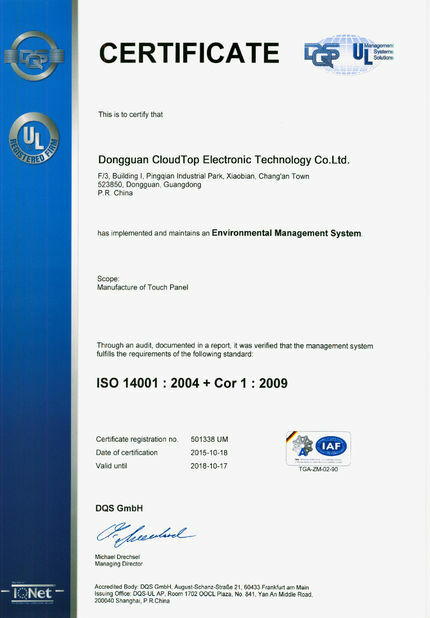 QA: Our quality assurance group has two colleagues,coordinating customers' inspection before delivery. 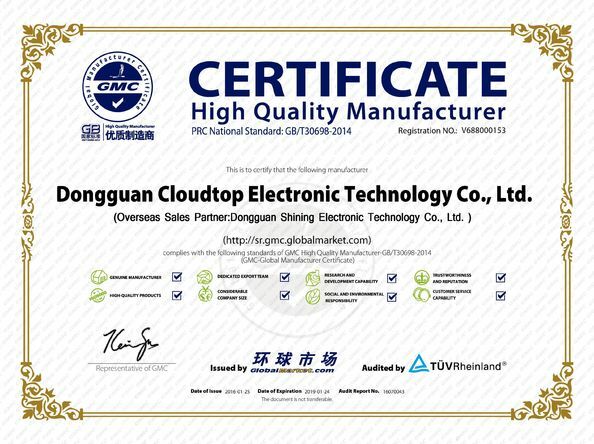 Morover, SHINING and CLOUDTOP strictly control touch panels’ quality according to industrial standard and clients’ requirements. 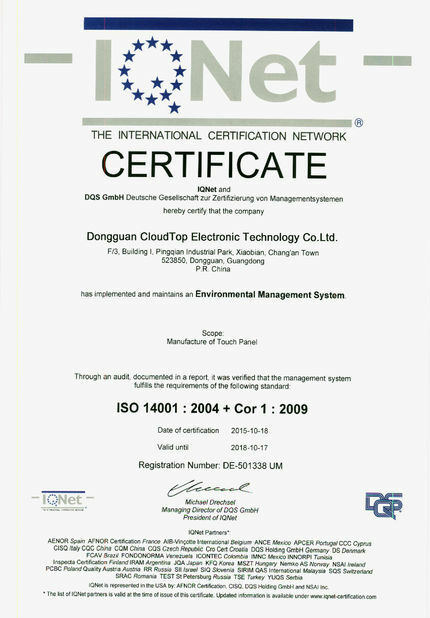 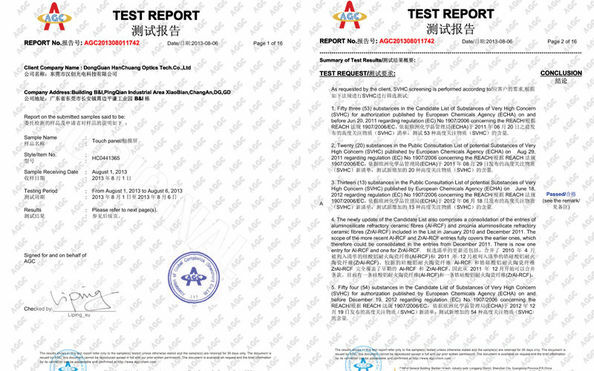 In 2015, audited by TUV, we became PRC national standard high quality manufacturer.